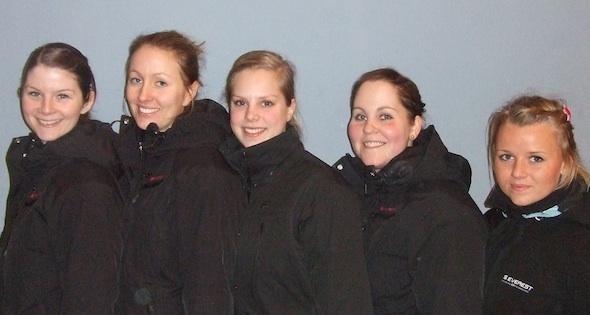 Lene Nielsen and her Hvidovre Curling Club team of Helle Simonsen, Jeanne Ellegaard and Maria Poulsen successfully defended their Danish national championship title over the weekend of February 17 – 19 on home ice. The Nielsen foursome went toe-to-toe with Tarnby’s Angelina Jensen and her team of Camilla Jensen, Ivana Bratic and Tina Fog-Hansen in a best-of-three showdown for the right to represent Denmark at the 2012 Ford World Women’s Curling Championship in Lethbridge. Nielsen, a twenty-five-year-old commercial law and business administration student, dug herself a hole by losing the first game of the set on Sunday morning when Jensen scored 4 in the tenth end for an 8-5 victory. With their backs to the wall, the Hvidovre foursome evened the series when Nielsen’s last rock takeout in the second game’s final end found its mark for the 9-4 win. 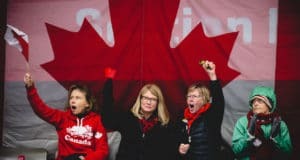 When the third game finished 7-4 in favour of the home club team, Nielsen and her mates punched their tickets to Lethbridge and their second straight appearance on the world stage. Last year, as the home country favourites in Esbjerg, Nielsen led her charges to a 7-4 round-robin record before losing the 3 vs 4 Page playoff game to Canada’s Amber Holland by a score of 10-7. In the bronze medal game, they came up short to China in an extra end, 10-9, and had to settle for a fourth place finish. 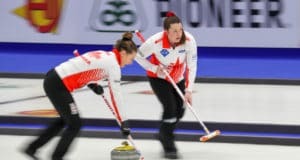 In Moscow in December at the European Curling Championships, this young Danish team generated a most impressive record of 8-1 in the preliminaries, only to lose three straight playoff games to close out the tourney. Sweden doubled them up by a score of 12-6 in the 1 vs 2 game, Scotland trounced them 10-2 in the semi-final, and then they lost to Russia 13-7 in the bronze medal shootout. Nielsen, Ellegaard and fifth player Mette de Neergaard are all students, while Simonsen and Poulsen are teachers. If the Danish champions can go to school on their past history of early game successes and stay focused for the finals, they may well graduate to the top of the class in Lethbridge.